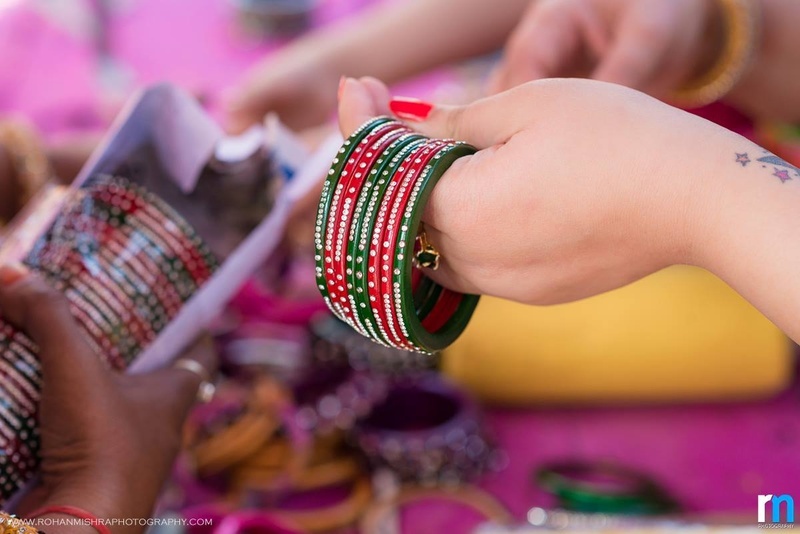 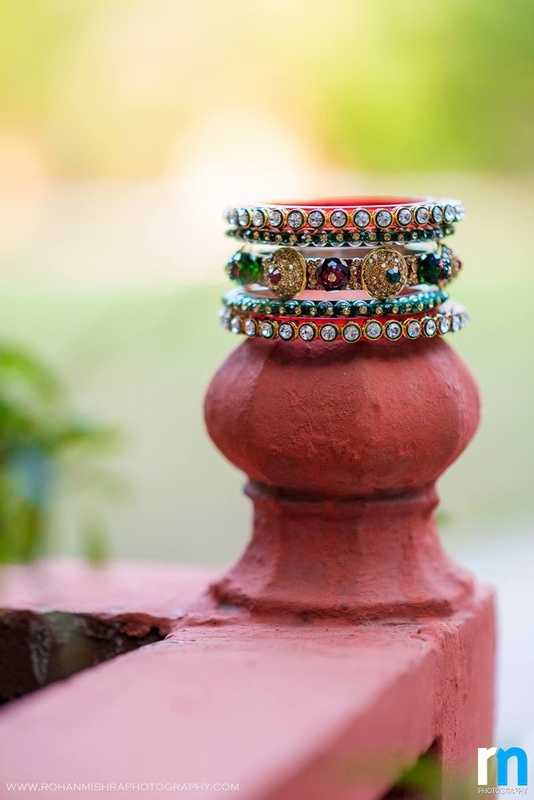 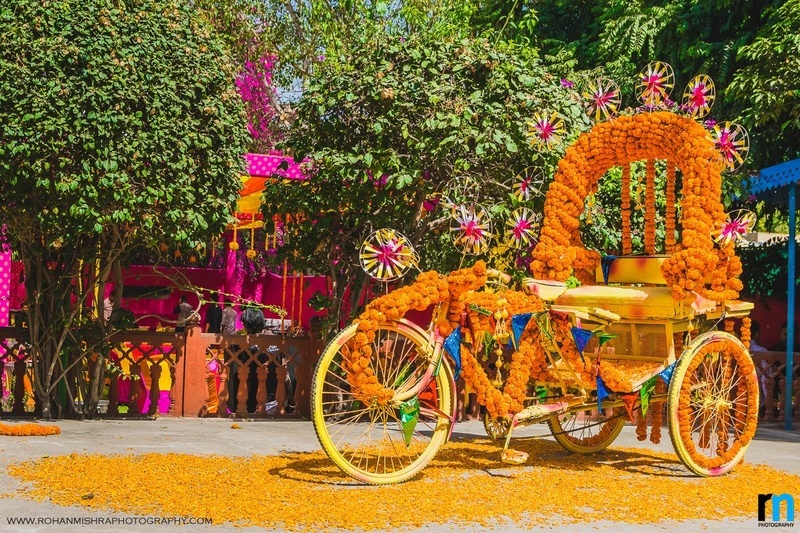 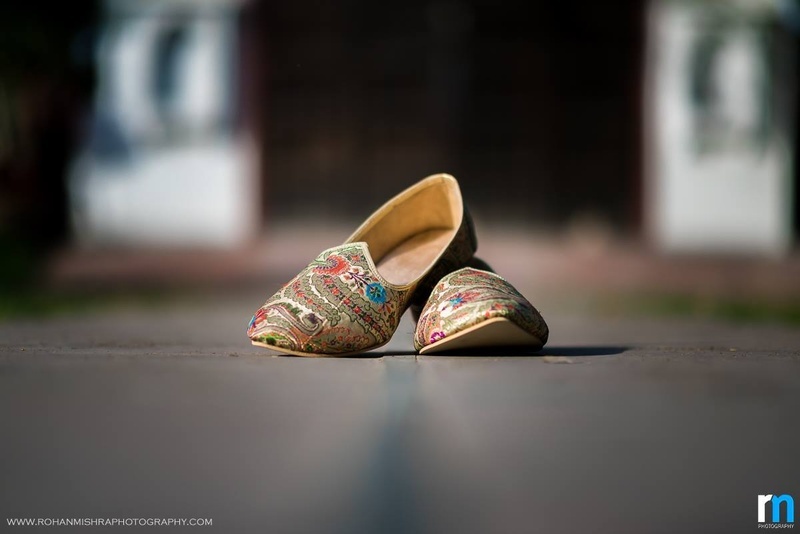 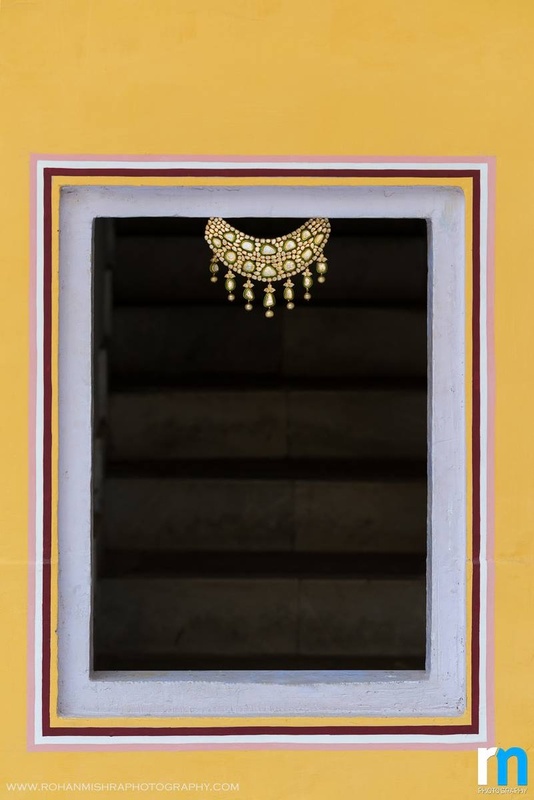 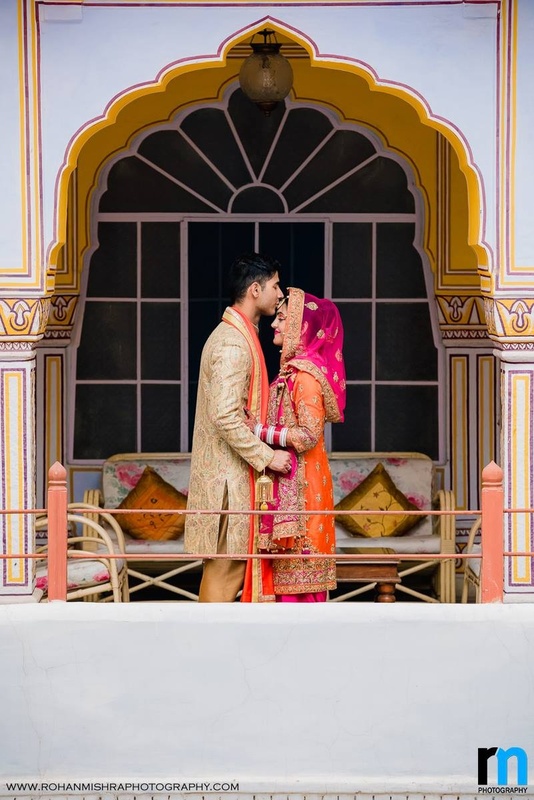 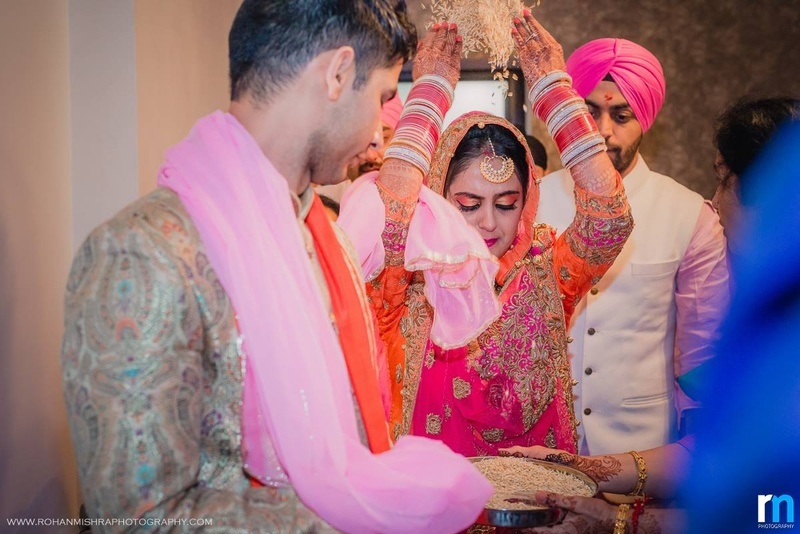 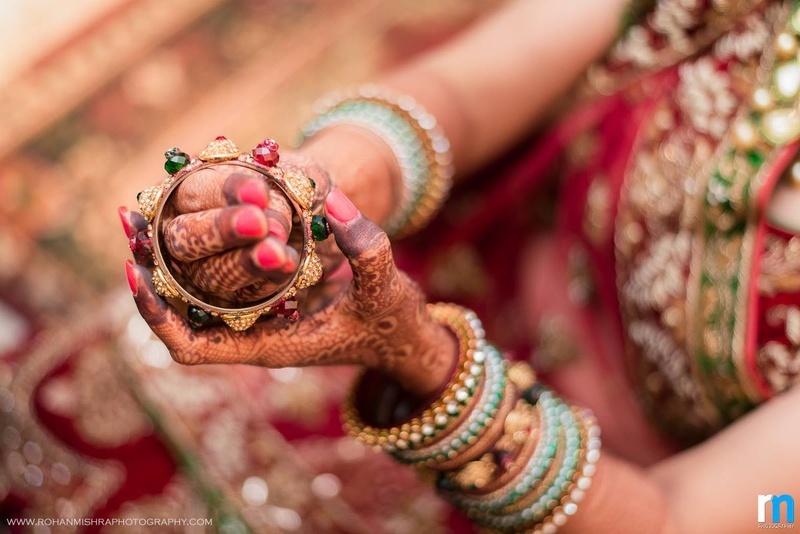 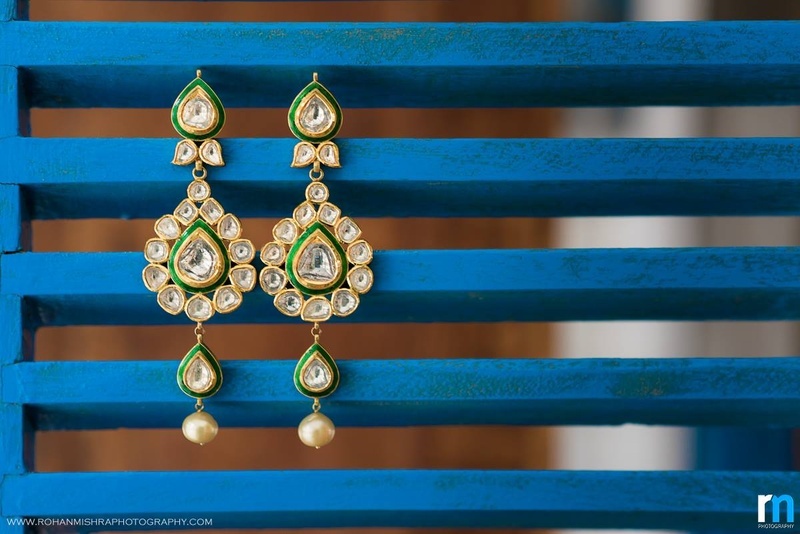 The sheer mention of a ‘Punjabi Wedding’ instantly evokes images of delicious food, blingy attires, lots of shaava-shaava and of course, eternal love! 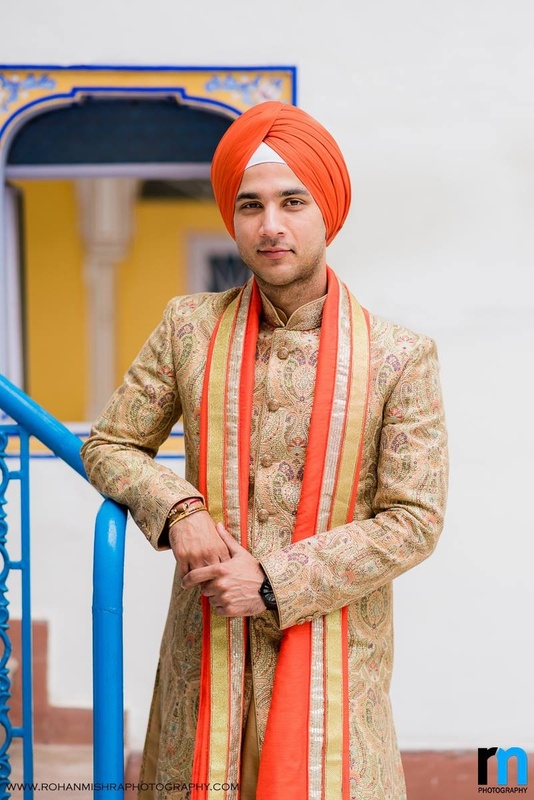 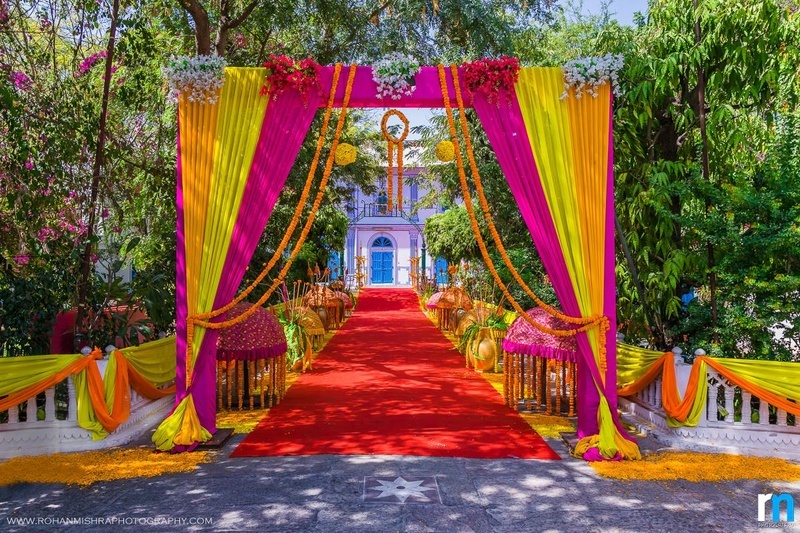 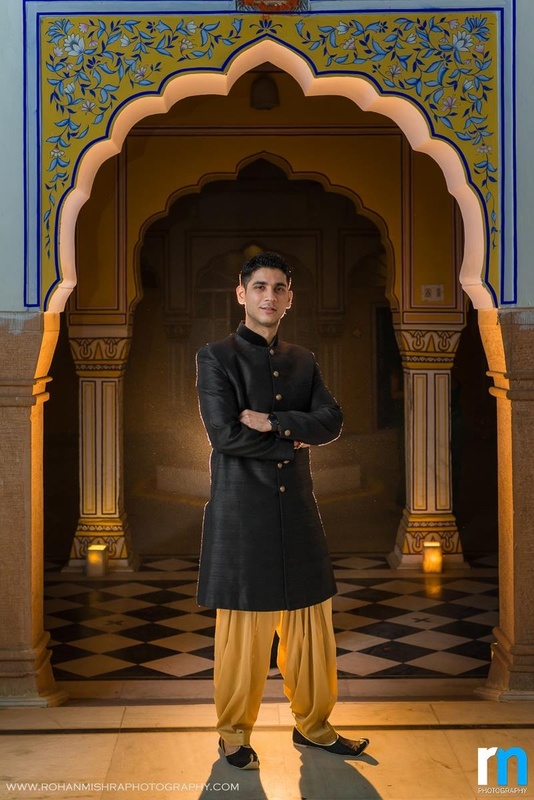 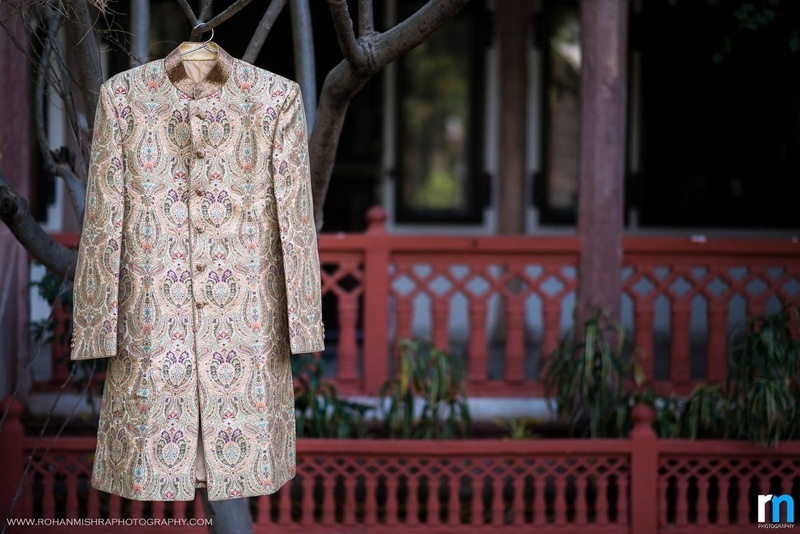 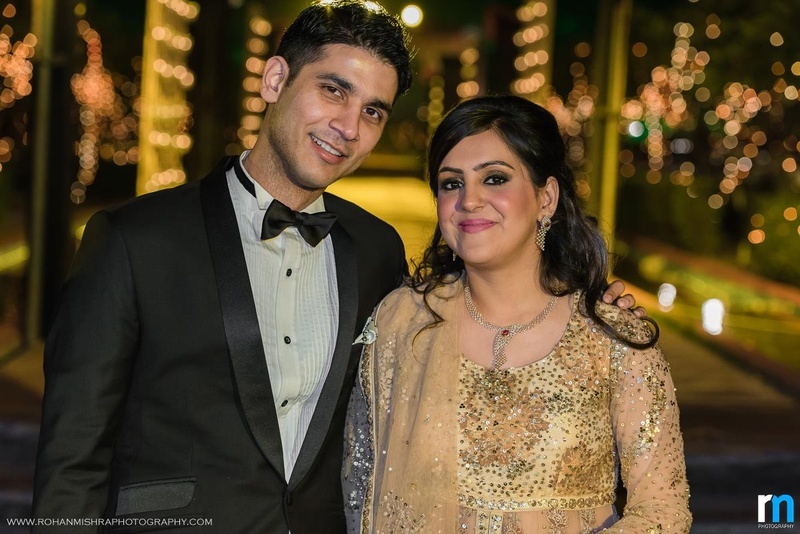 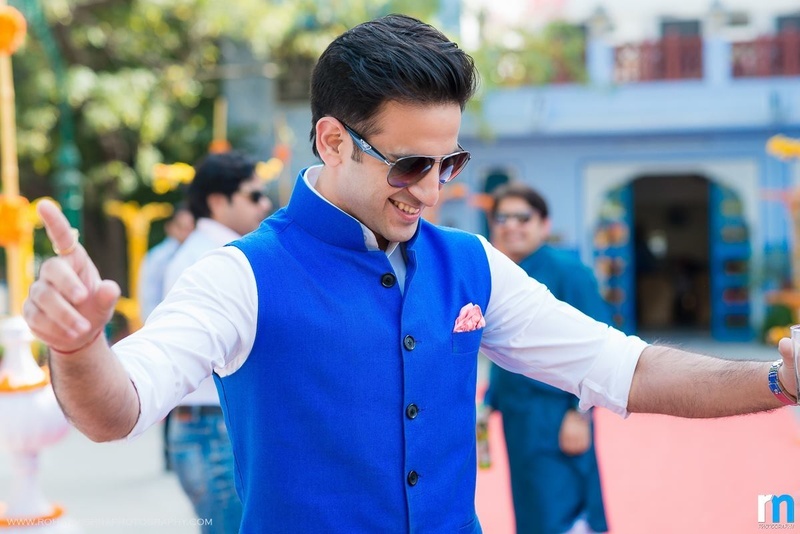 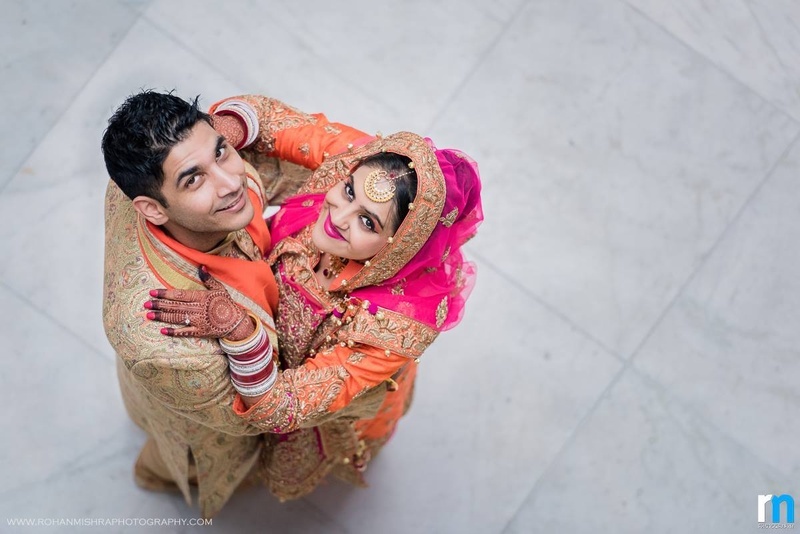 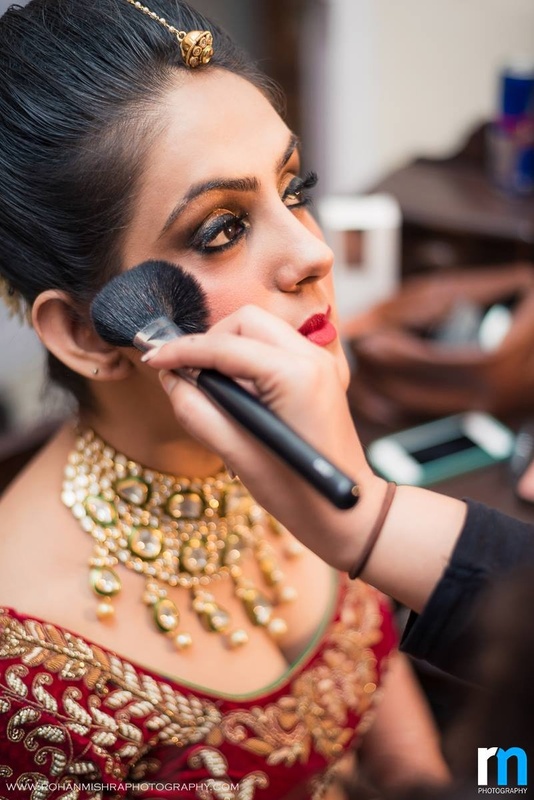 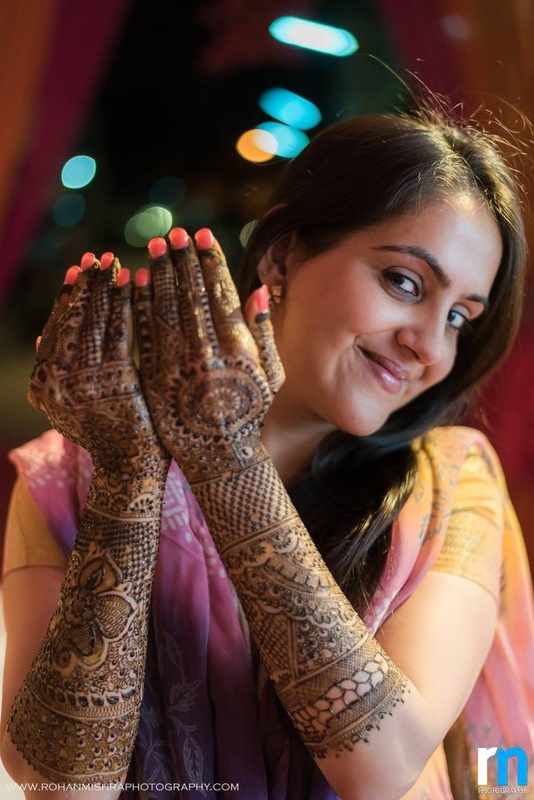 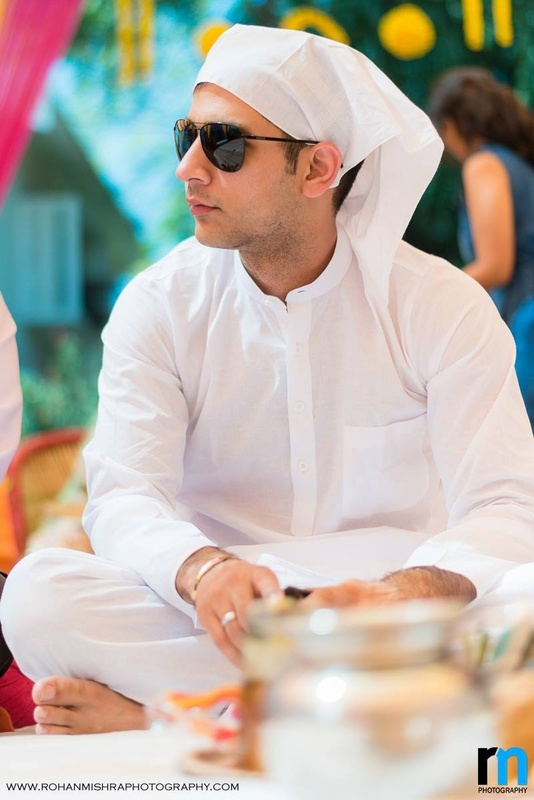 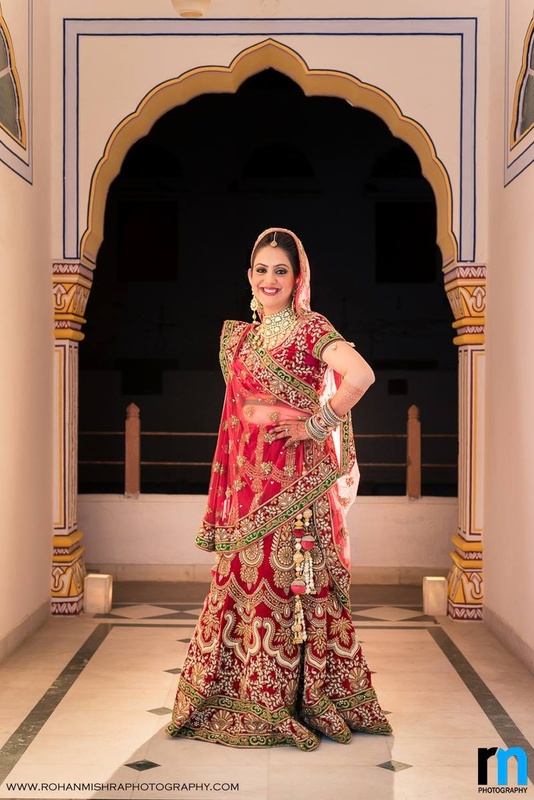 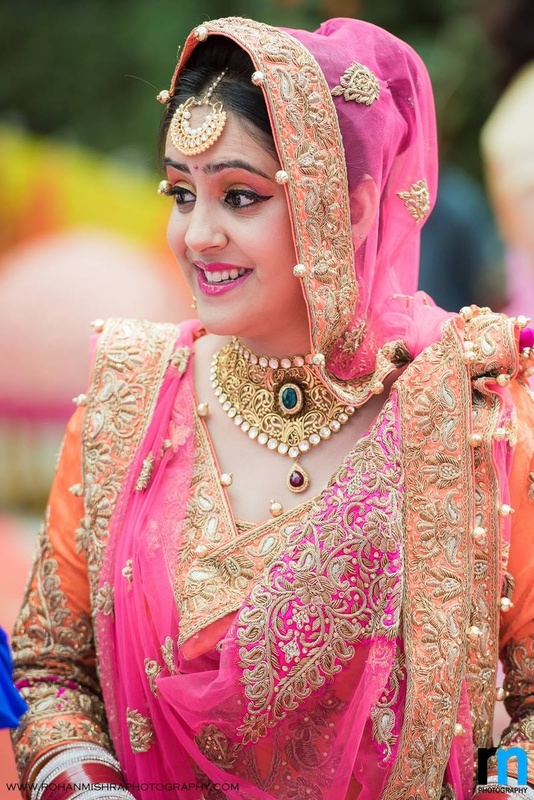 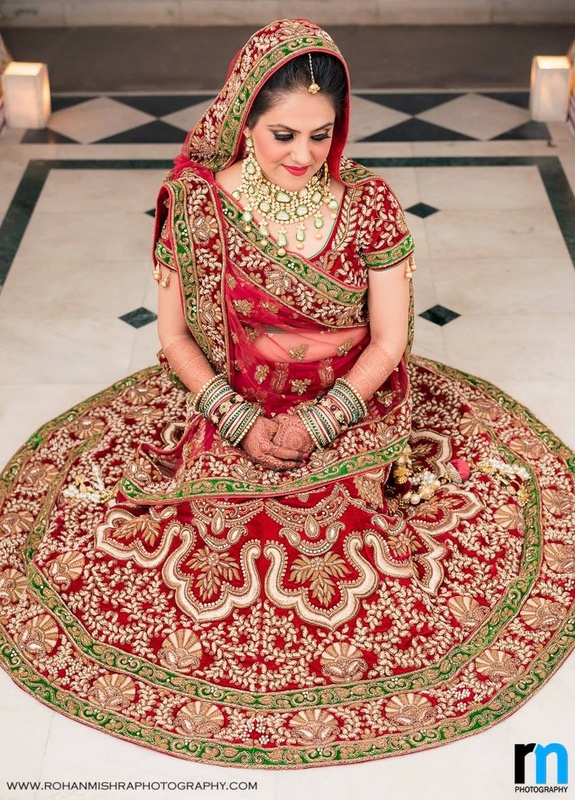 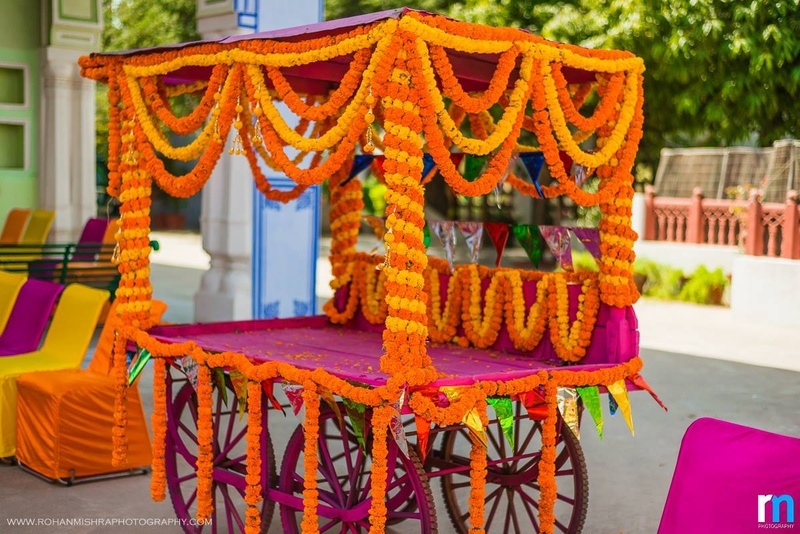 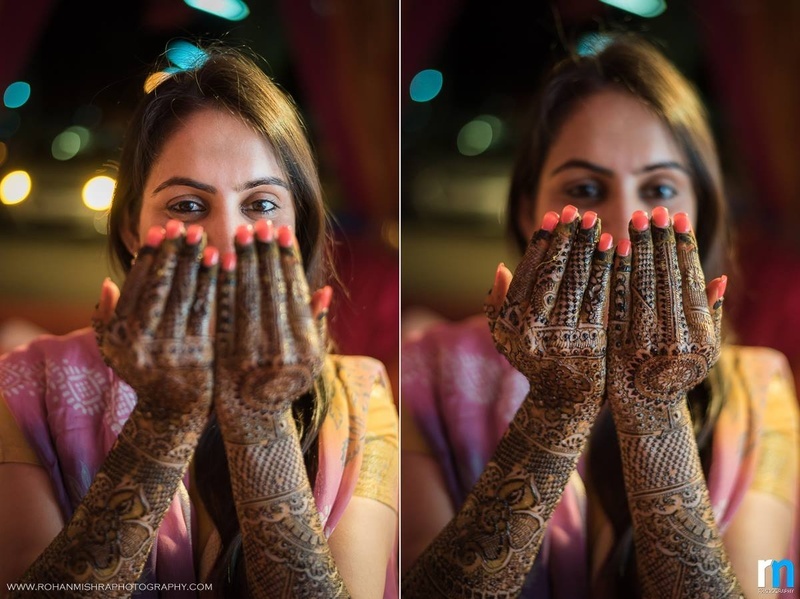 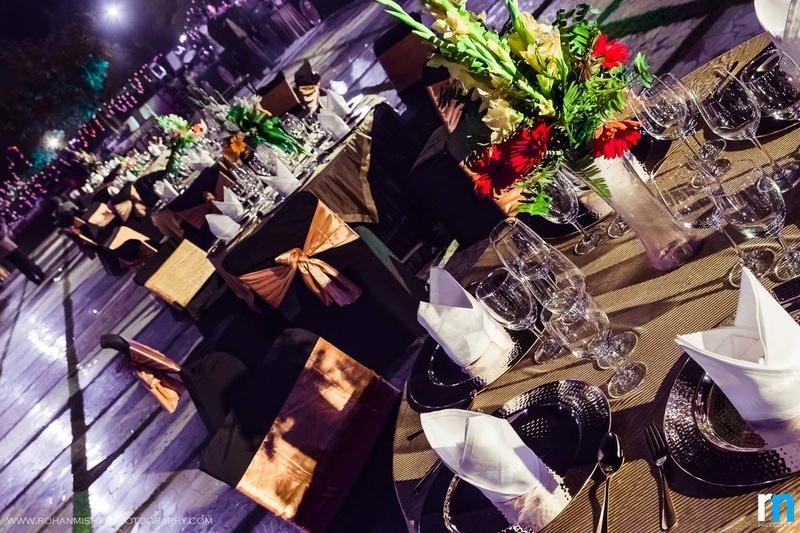 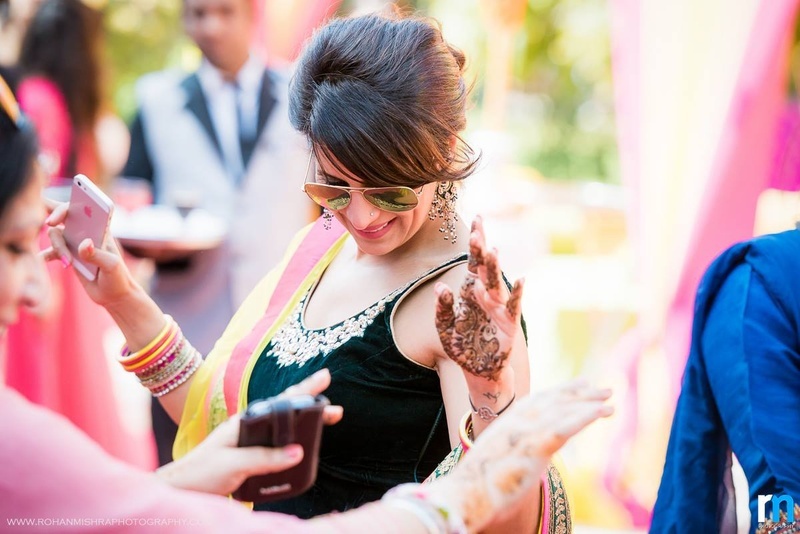 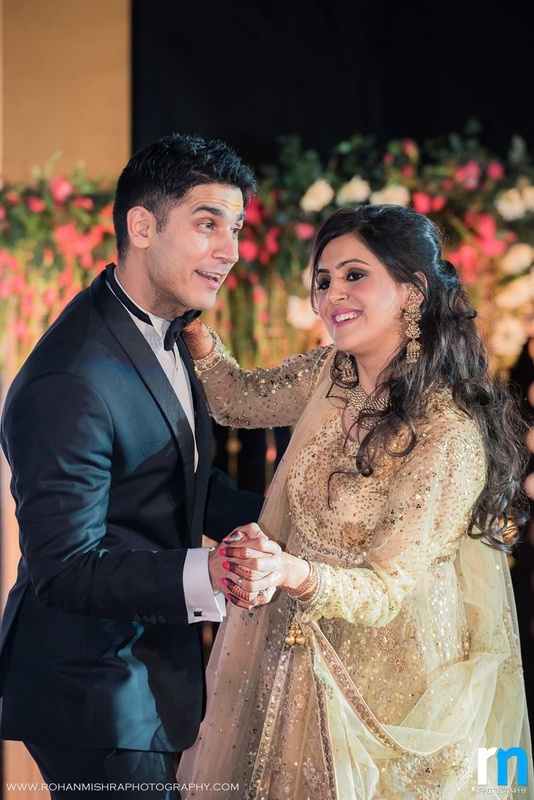 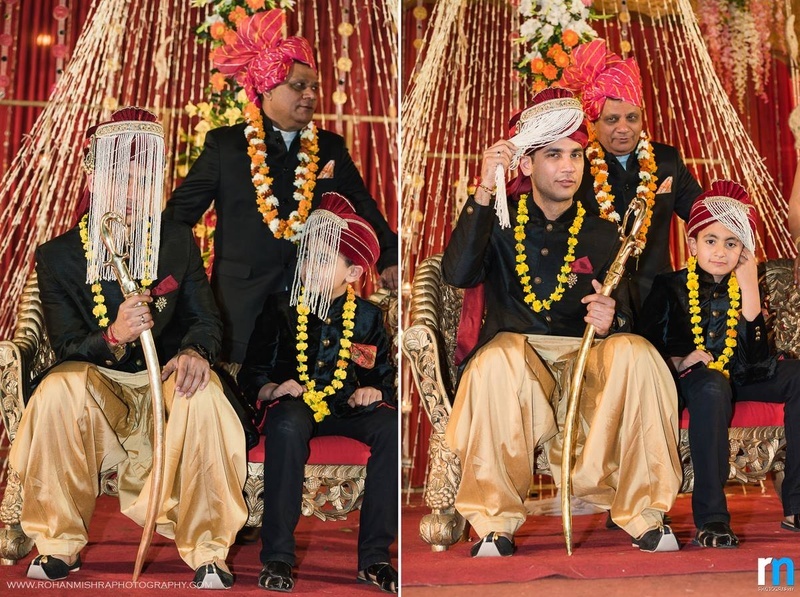 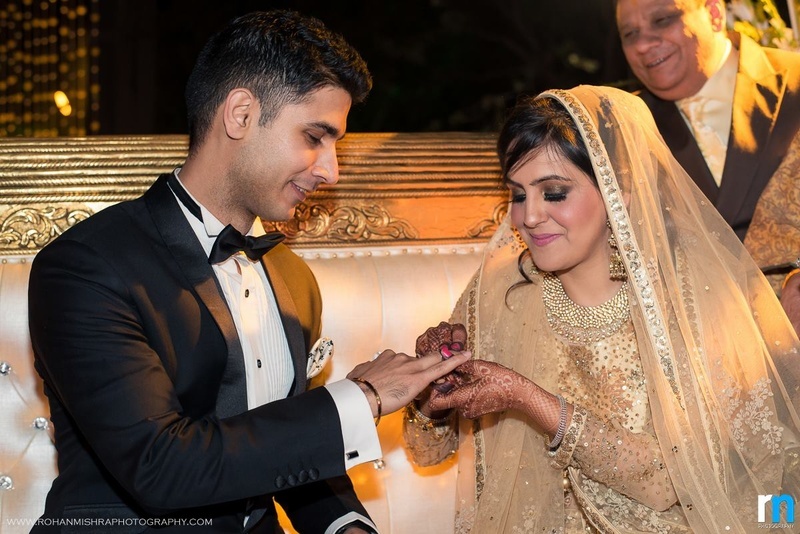 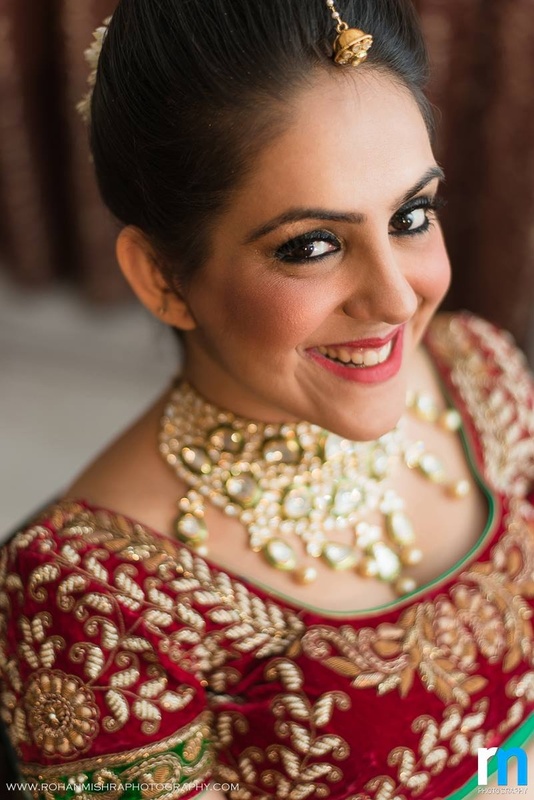 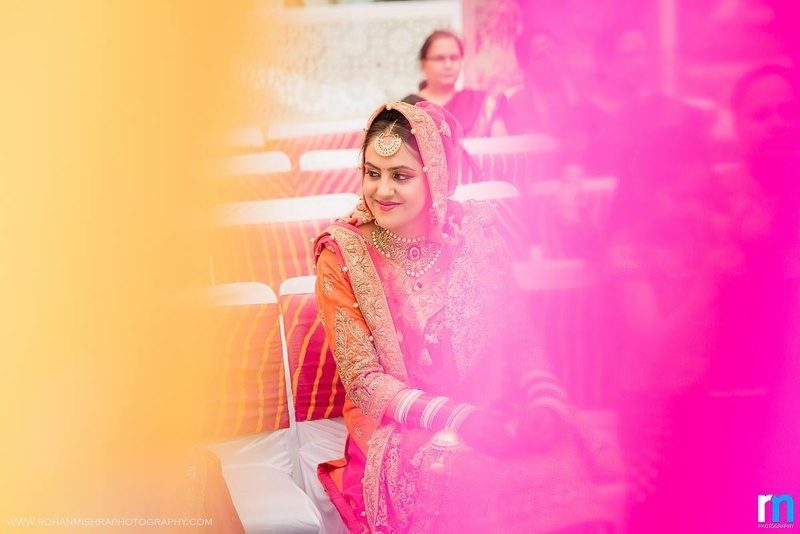 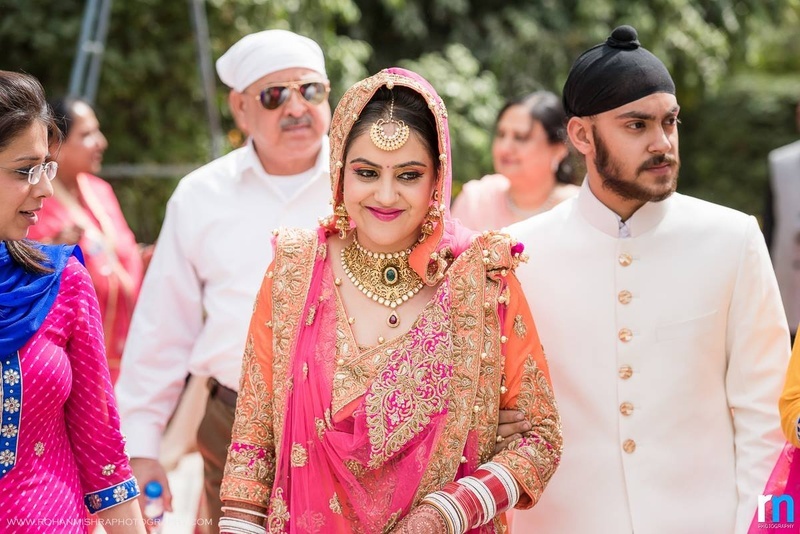 Well, Harneet and Kunal’s wedding ceremony was one that incorporated just that and set new standards with its exceptional wedding décor and tasteful choice of outfits. 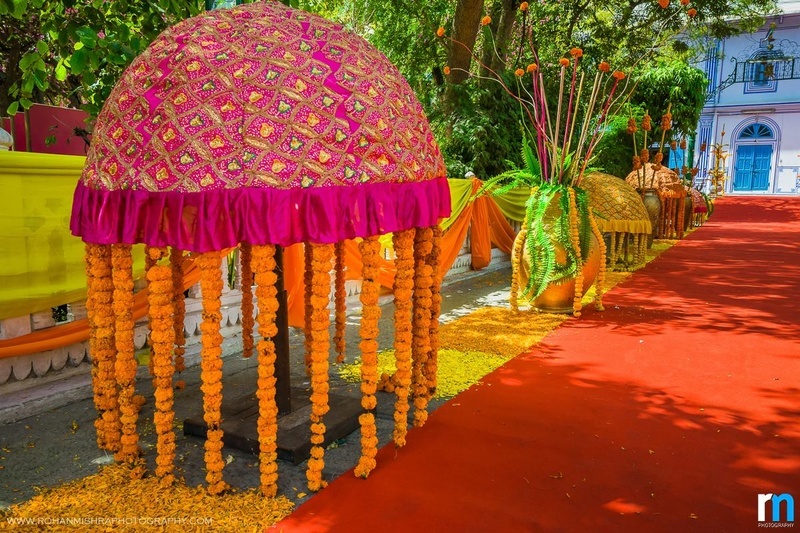 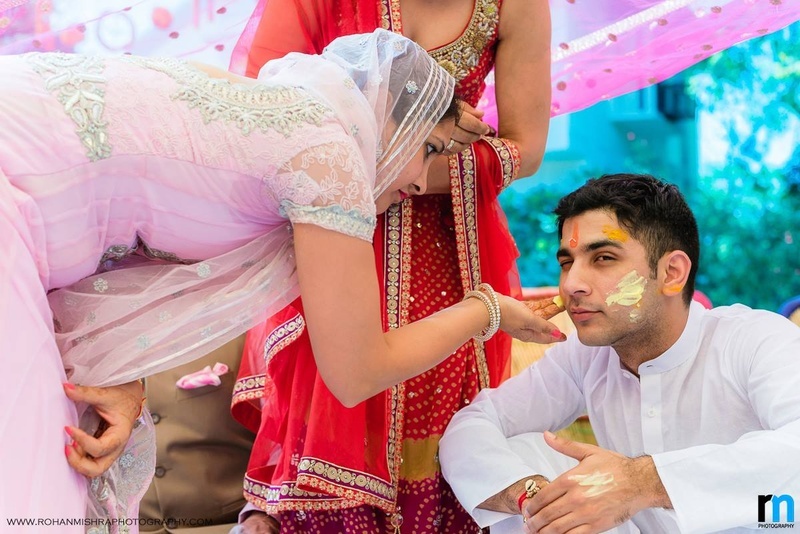 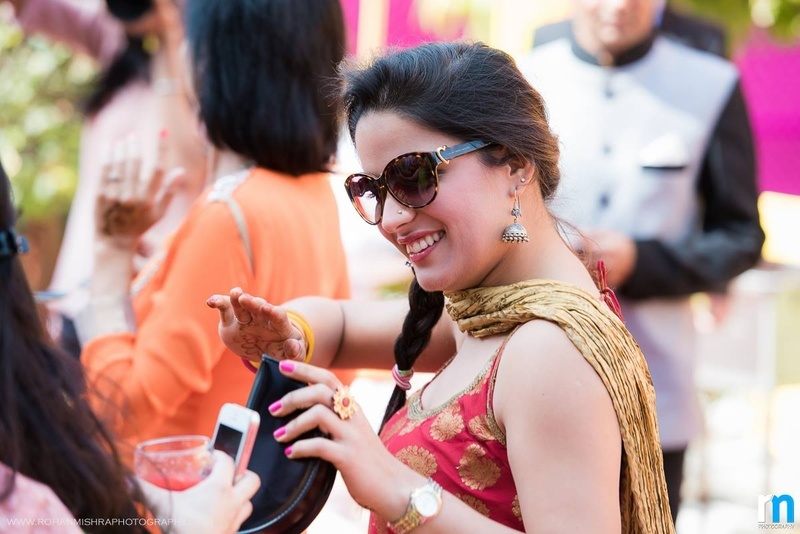 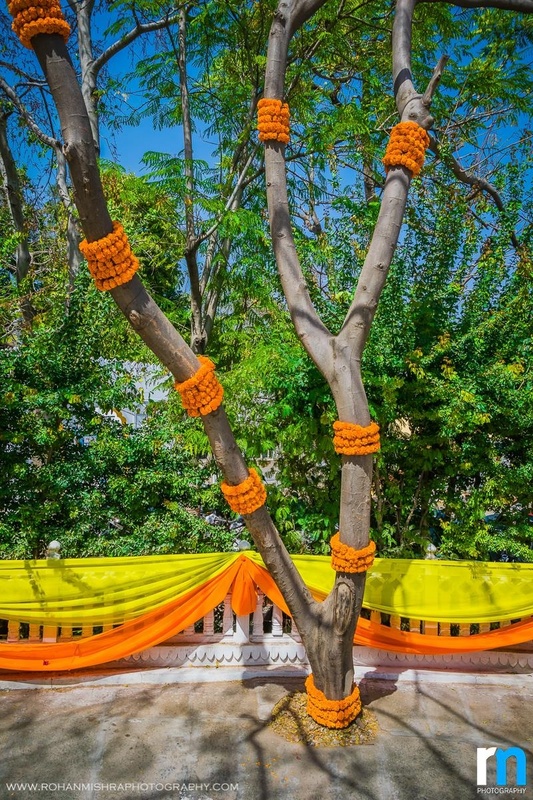 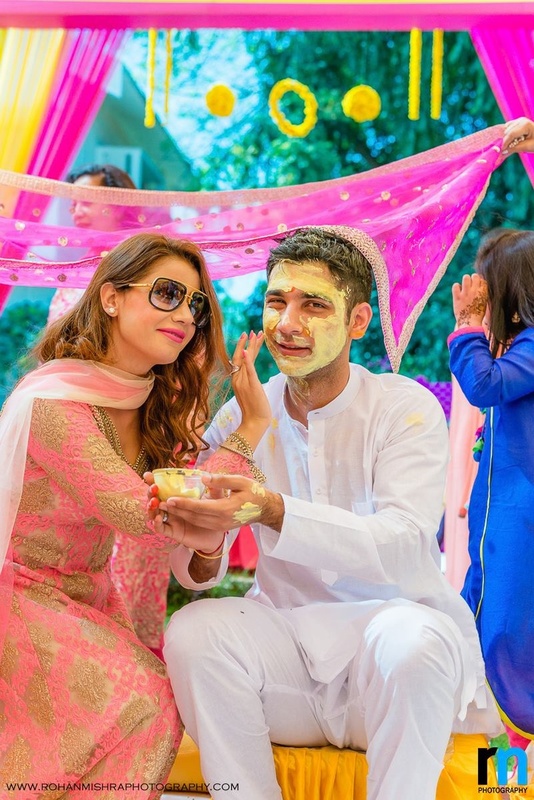 Celebrations began with the bright-hued haldi ceremony. 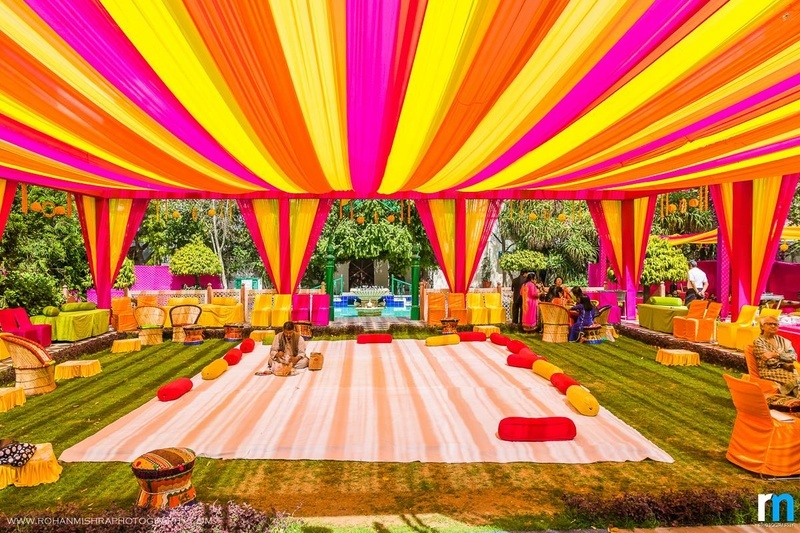 Drapes in colours of orange, yellow and pink made a beautiful tent right beside a crystal clear pool. 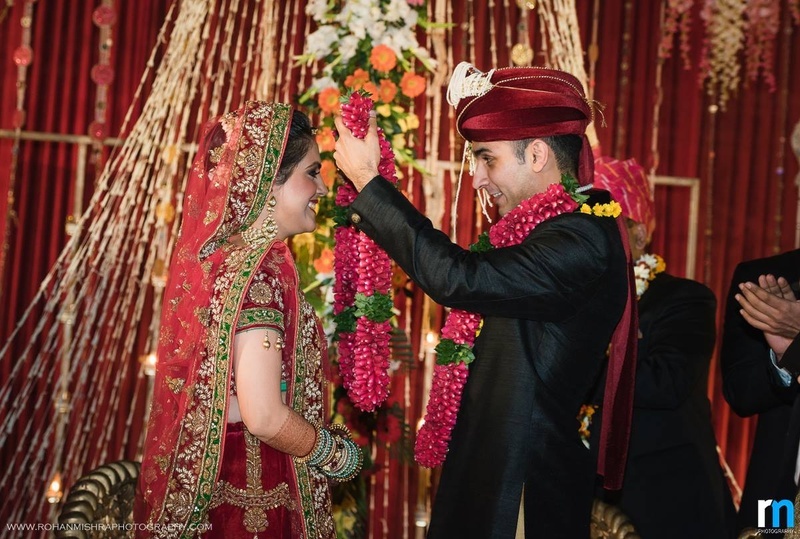 There, friends, family and loved ones danced and sang in celebration as this couple began this new journey together. 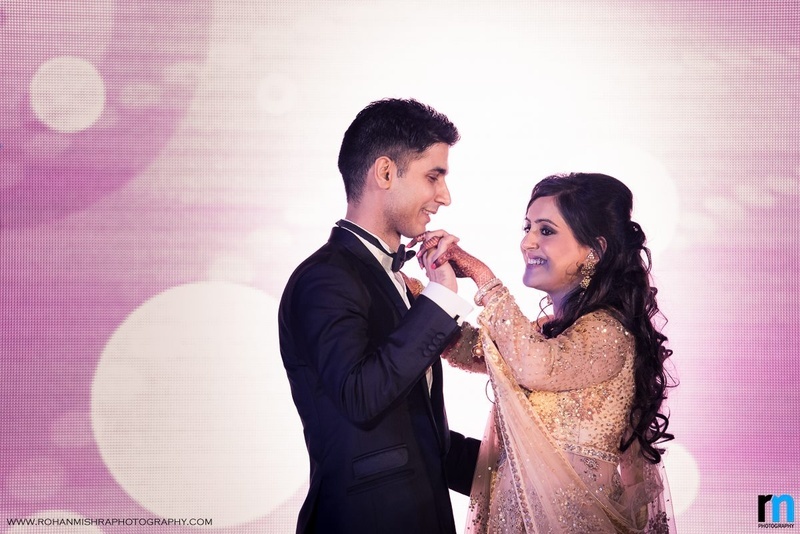 After all, what is a wedding celebration without your closest ones dancing with you through thick and thin? 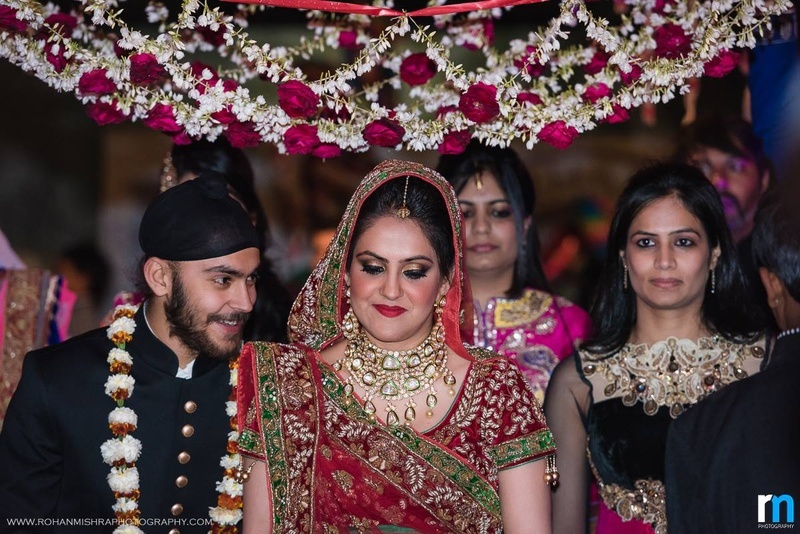 Next big step was the engagement ceremony set in a regal theme of gold – The décor, table setting as well as the soon-to-be bride were all in shades of gold. 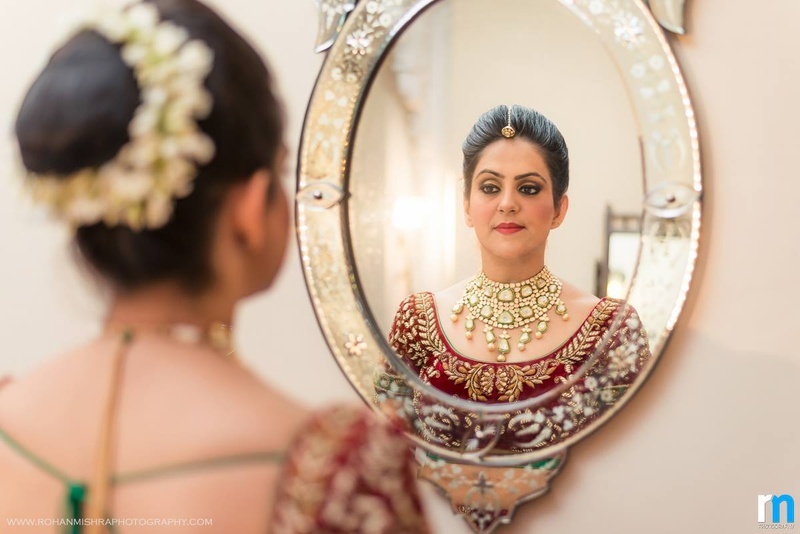 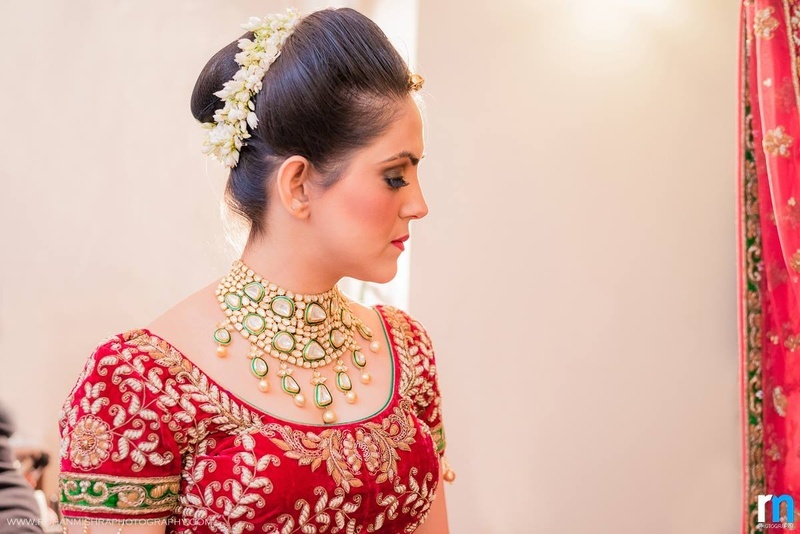 Harneet donned a stunning layered lehenga with sparkly gold sequins all over with minimal jewellery that spoke of elegance and taste. 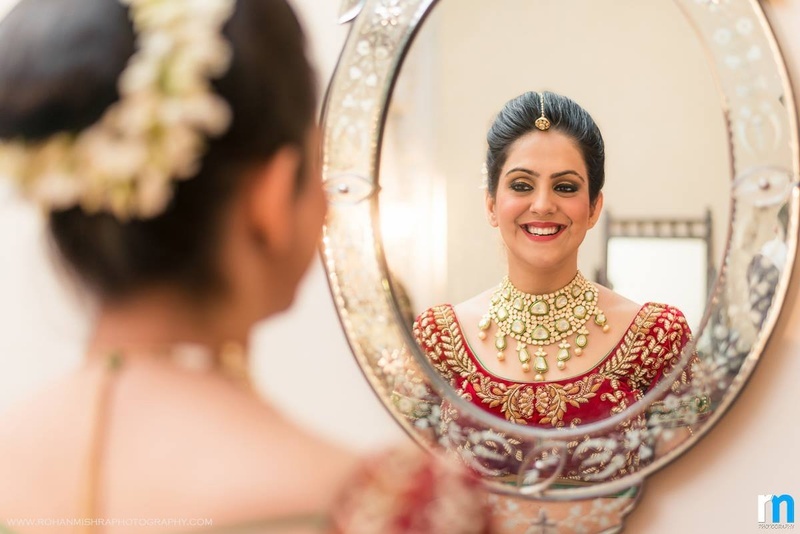 Her attire and accessories were a perfect blend of comfort and style, opt to make a statement with your attire and keep your jewellery dainty and elegant, just like the gorgeous Harneet did! 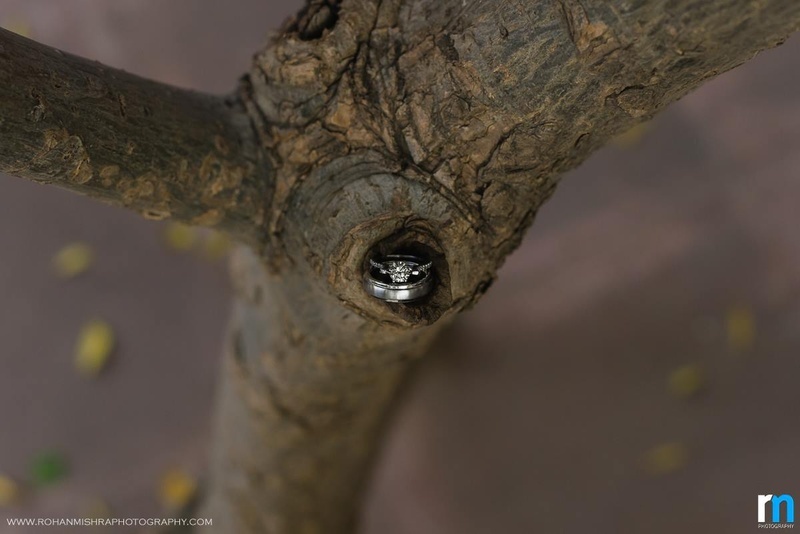 All’s well that ends well, right? 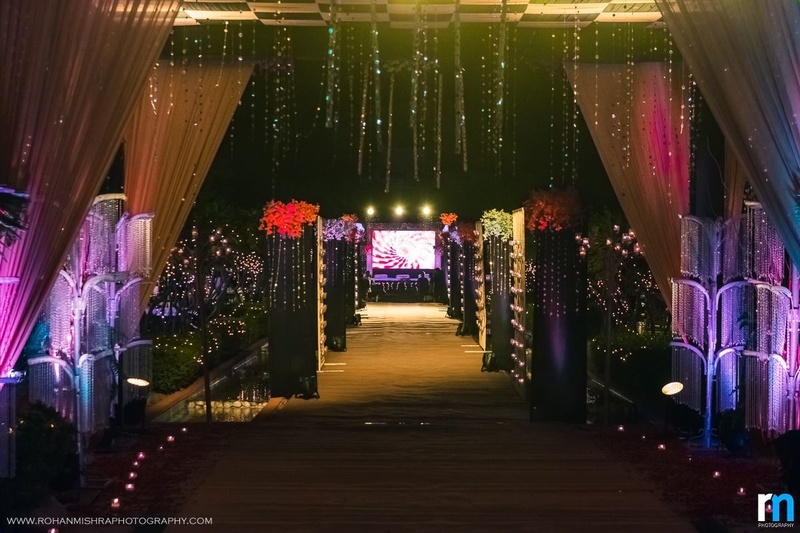 Well, this crazy,fun, bright and beautiful wedding ended with a gorgeous outdoor reception. 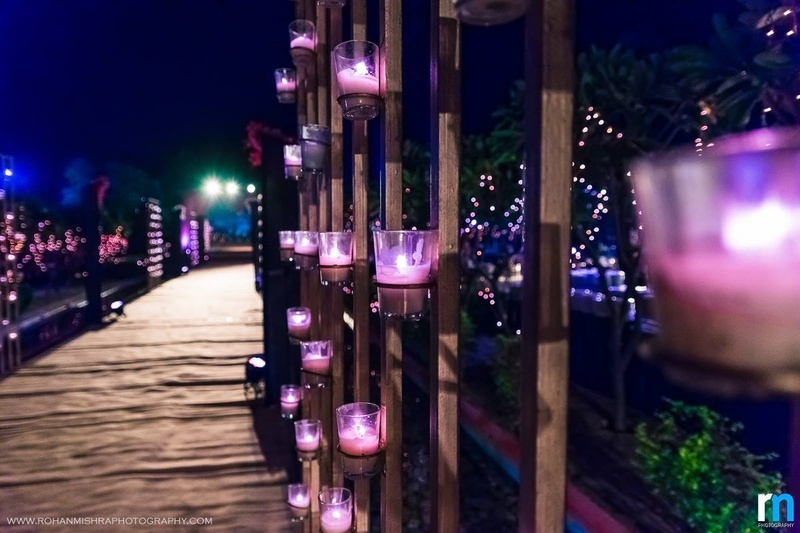 Pretty tea lights and crystal strings only added to the magical feel which was already in the air. 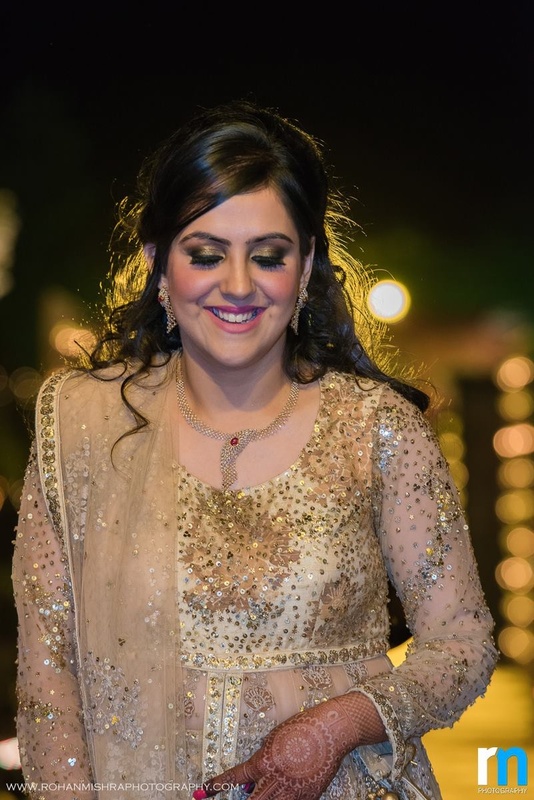 Both, Kunal and Harneet opted to go for a classy look for the reception dinner. 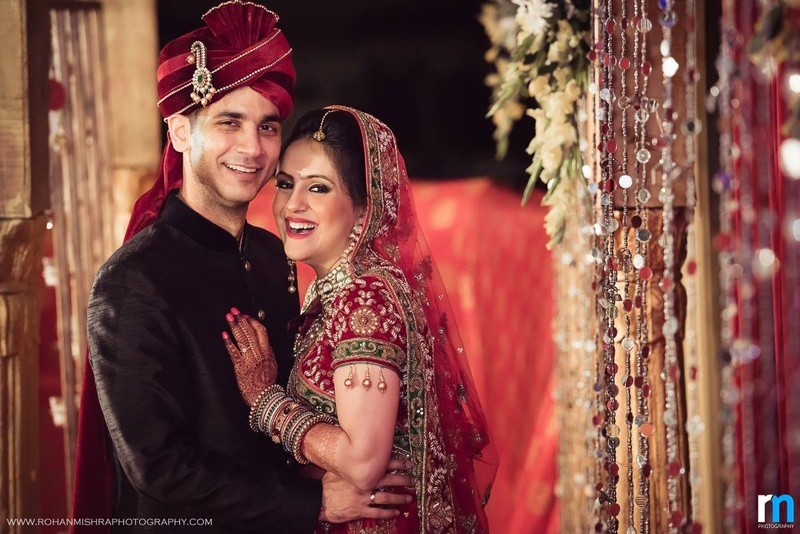 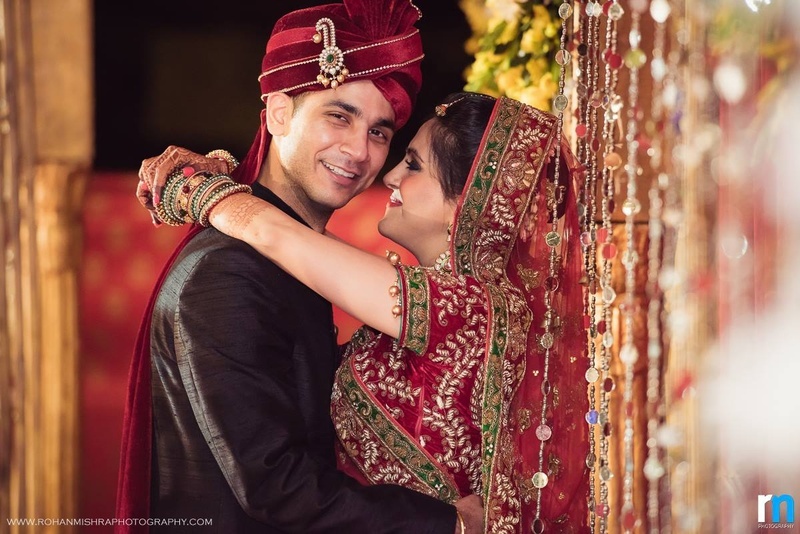 Kunal looked dapper in a raw-silk sherwani while the beautiful bride donned a heavily embellished deep maroon lehenga with bold polki embedded jewellery, which had our jaws dropped right to the floor! 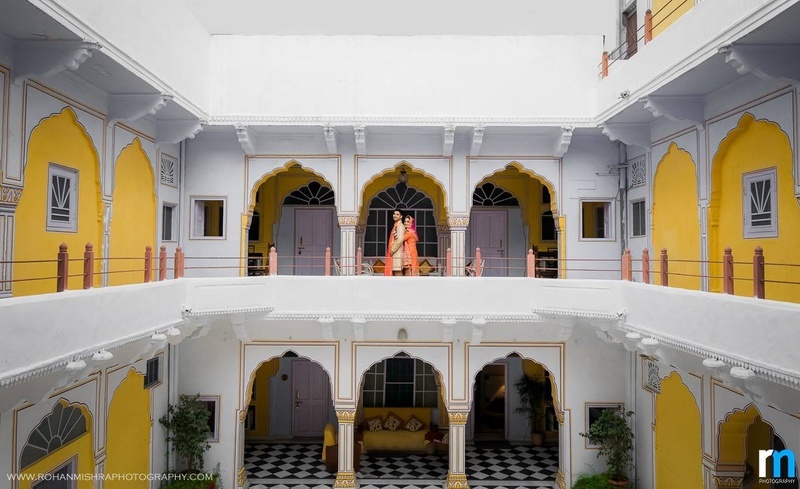 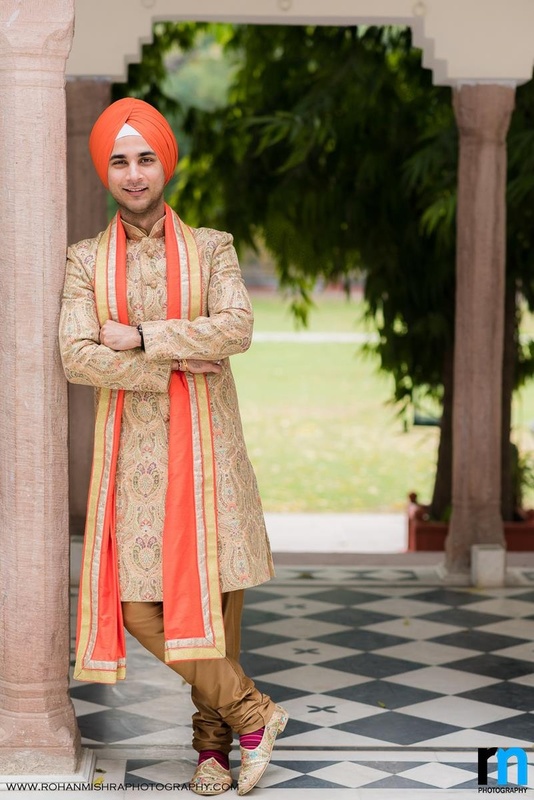 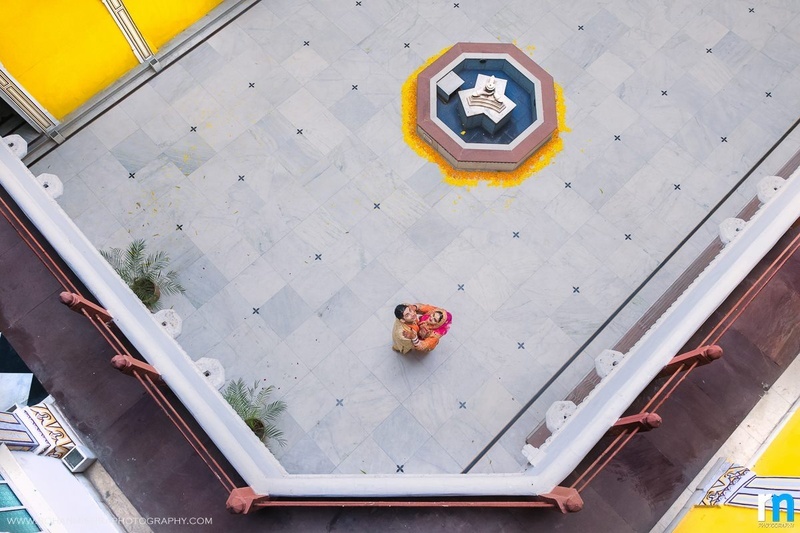 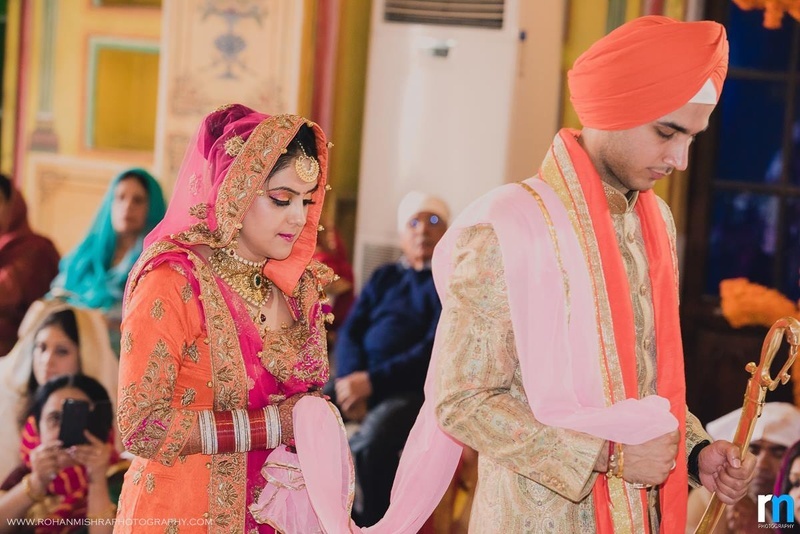 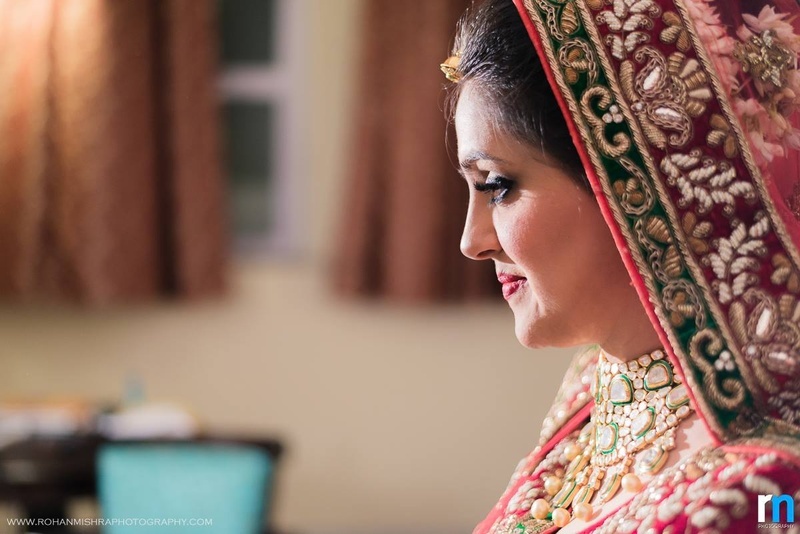 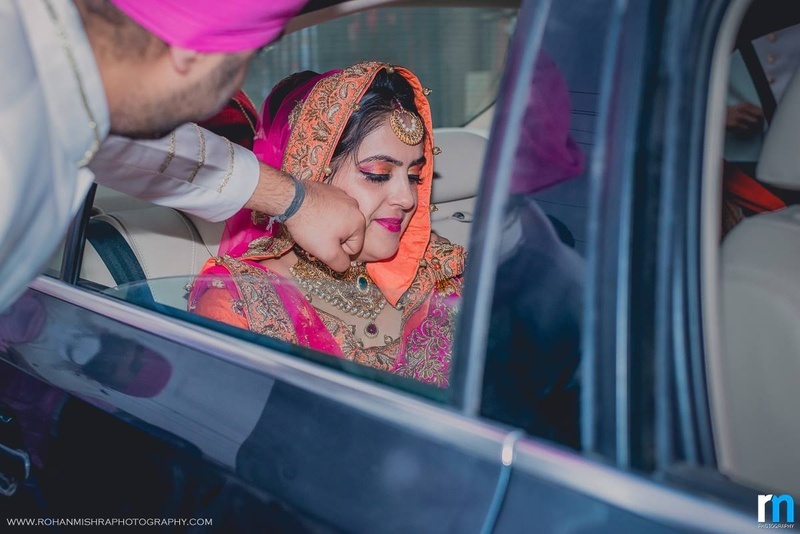 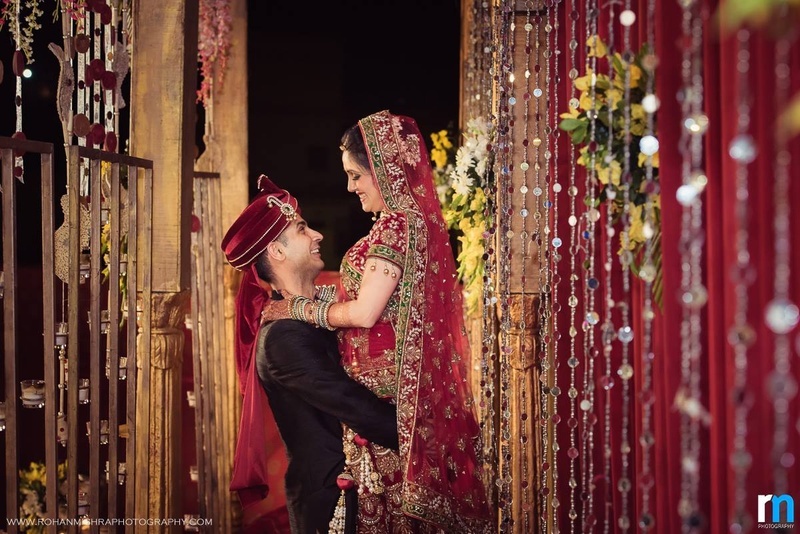 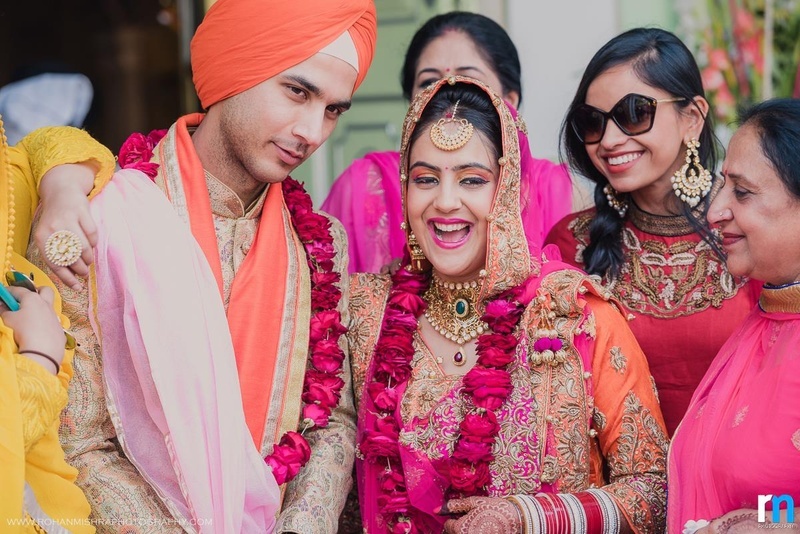 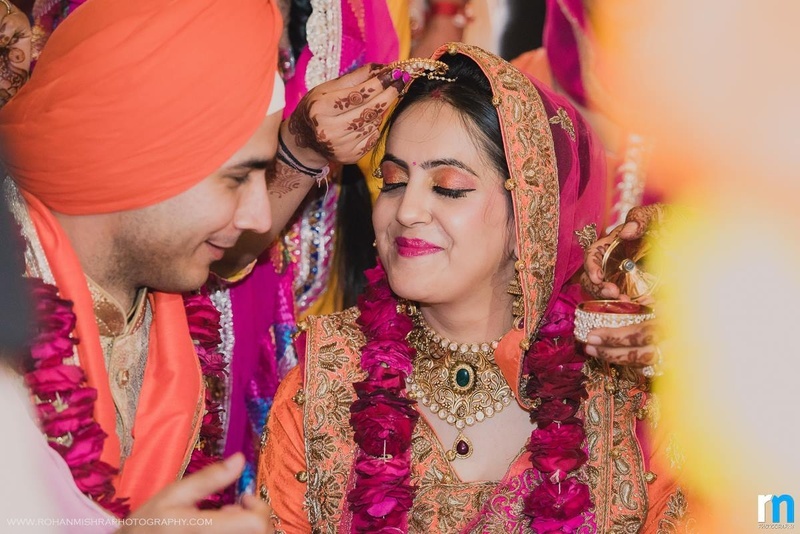 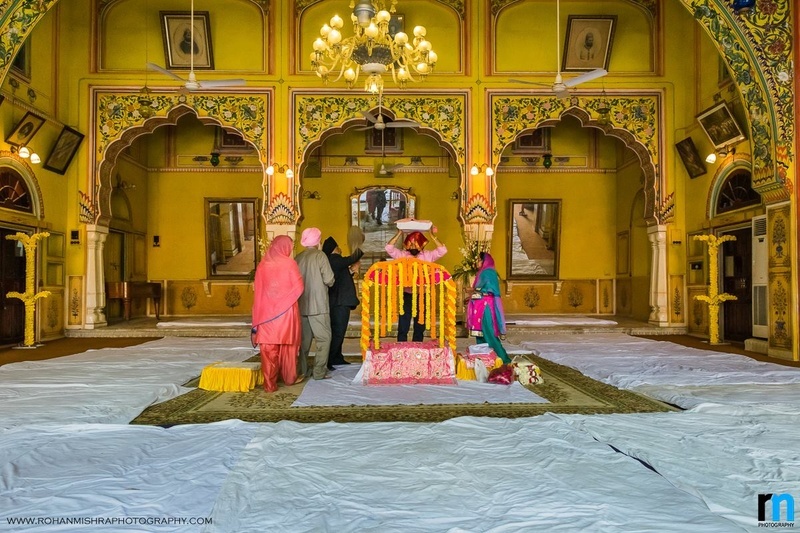 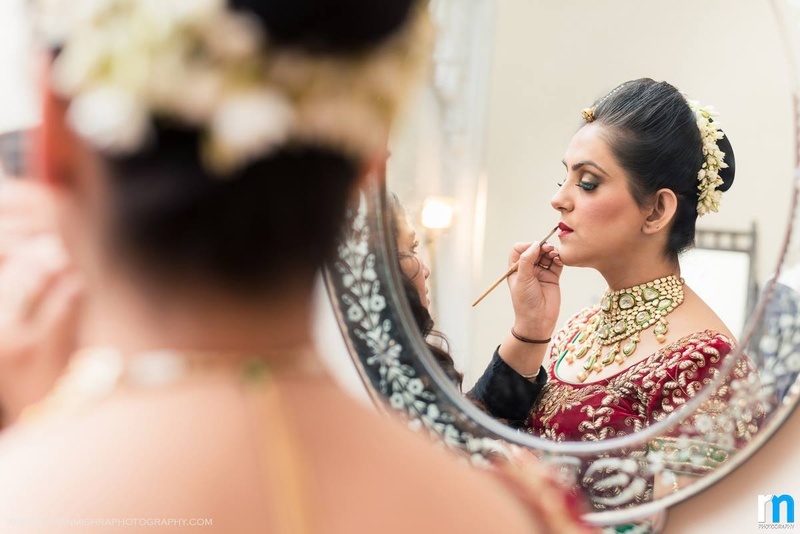 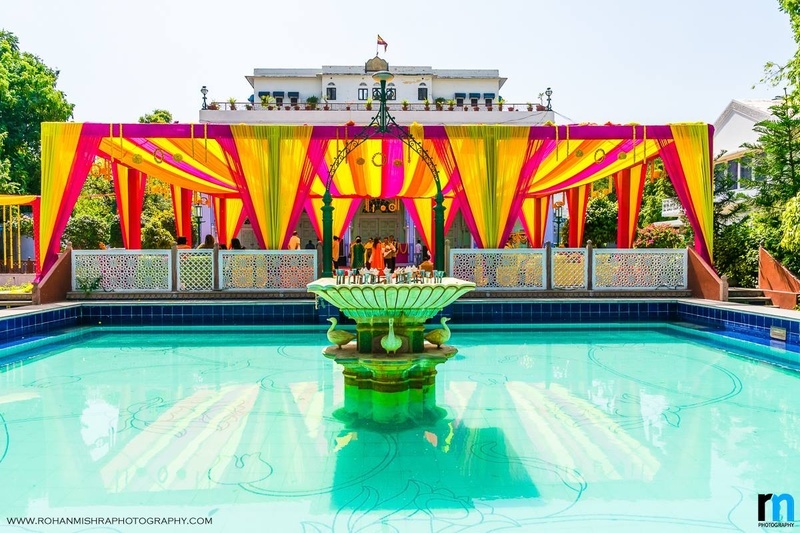 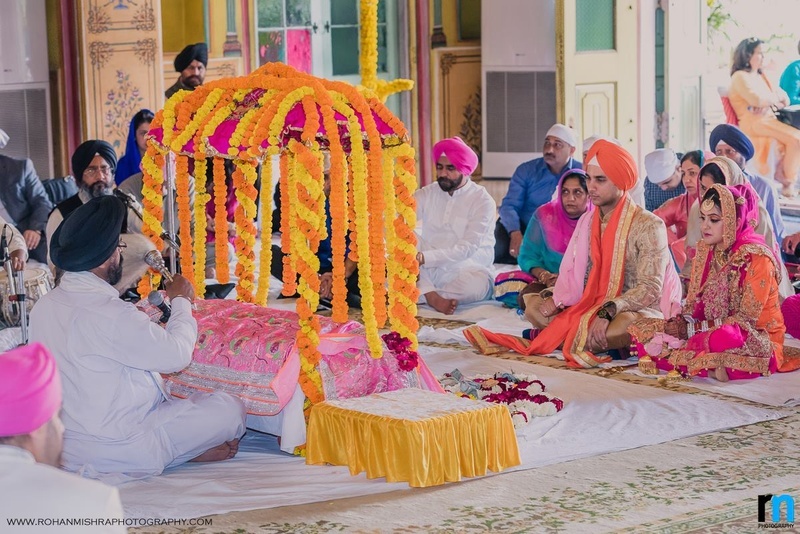 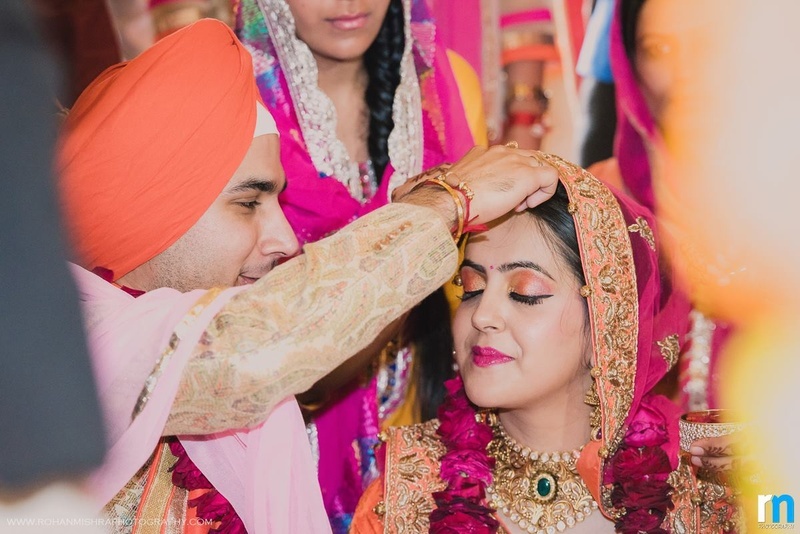 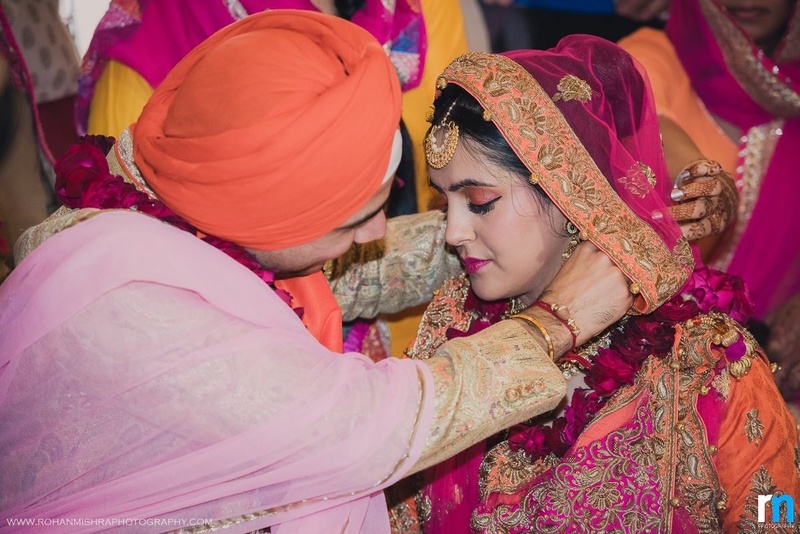 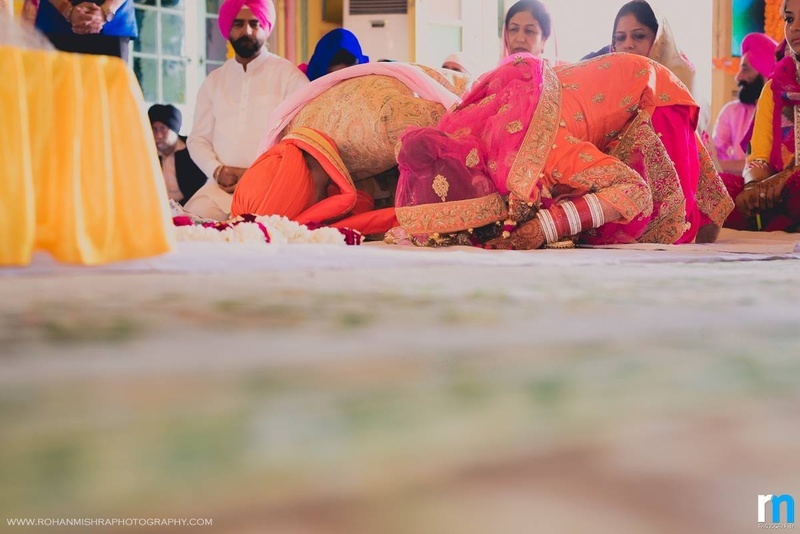 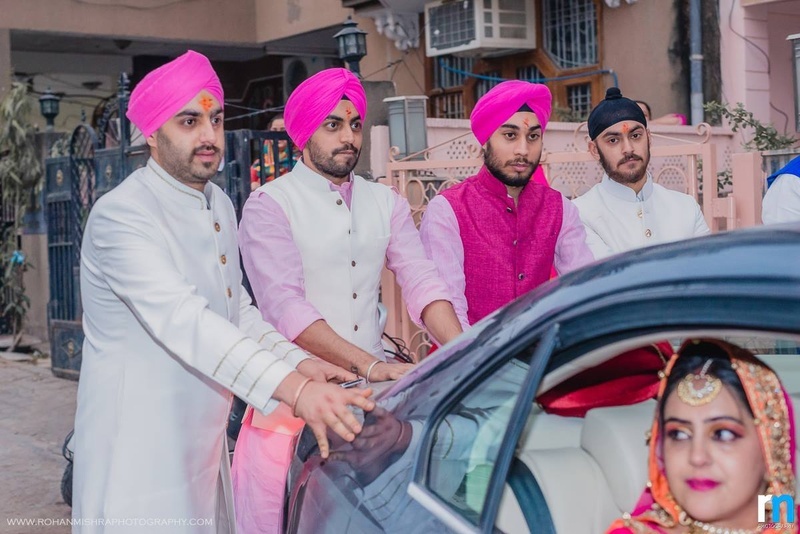 The talented team at Rohan Mishra Photography captured this beautiful sikh wedding with utmost precision and a keen eye for detail, capturing the most precious moments for Harneet and Kunal to treasure for a lifetime.